Parents often tell me they wasted precious time and money on controversial reading/spelling/dyslexia therapies that didn’t work. The time wasted is even more of a worry than the money. The more a child falls behind, the more she or he becomes likely to never be able to catch up. I’ve written a few blog posts about various controversial therapies, but not a summary one that might be easily found by an anxious, googling parent. So I thought this might be a good way to mark the end of Dyslexia Empowerment week, and come in handy while we wait for Pam Snow and Caroline Bowen’s 2017 book “Making Sense of Interventions for Children With Developmental Disorders”. 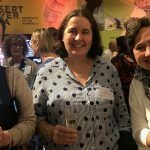 Most readers of this blog will already know about the MUSEC Briefings, which summarise the research on a large number of special needs interventions, many of them controversial. Another useful source of information about controversial therapies is a 2015 NZ article called Behavioural Interventions to Remediate Learning Disorders, which reviews Arrowsmith, Brain Gym, Cellfield, Cogmed, Davis, Dore, Fast ForWord, Lexia, Lumosity, Slingerland, Tomatis and several other programs. The 2007 Santiago Declaration by prominent neuroscientists pointed out that “Neuroscientific research, at this stage in its development, does not offer scientific guidelines for policy, practice, or parenting.” Which is polite scientist speak for “neuro and brain-based interventions are mostly bunkum”. You can read more about this here, here and here. “The so-called abnormal eye movements observed in dyslexic children are the result, not the cause, of reading difficulty. “Eye exercises have been shown to improve convergence insufficiency, help develop fine stereoscopic skills and improve visual field recordings after brain damage. There is no clear scientific evidence published in mainstream literature to support the use of eye exercises in other conditions including learning disabilities and dyslexia. “There is no evidence that children participating in vision therapy are more responsive to education instruction than children who do not participate. “The efficacy of Irlen tinted lenses is based on anecdotal evidence. Controlled trials have shown no difference in outcomes in children given tinted lenses. “Therapies including the Lawson anti-suppression device, syntonics, applied kinesiology, megavitamins and mega oils, the use of trace elements and psychostimulants have all been claimed to improve the reading of dyslexics. The Lawson anti-suppression device, as used in the Alison Lawson clinics, offers a quick fix at stimulating the visual cortex. This treatment is based on a false premise that the visual cortex is responsible for reading. There are no controlled trials to support the claims of efficacy of any of the fringe therapies. Their claim to success is based on anecdotal evidence. This article refers to another key US article, reaffirmed in 2014, on learning disabilities, dyslexia and vision from the American Academy of Pediatrics, Section on Ophthalmology, Council on Children with Disabilities, American Academy of Ophthalmology, American Association for Pediatric Ophthalmology and Strabismus, and American Association of Certified Orthoptists. These are the US’s big guns in vision, and they say, “Diagnostic and treatment approaches that lack scientific evidence of efficacy, including eye exercises, behavioral vision therapy, or special tinted filters or lenses, are not endorsed and should not be recommended”. In the unlikely event that you’re still not convinced re vision therapy, try this article: Opthalmic abnormalities and reading impairment. The Dyslexia Help website also includes a useful page called Controversial Therapies for Dyslexia. Highly recommended. Finally, intervention should not be based on a child’s “learning style”, because Learning Styles are bunkum. 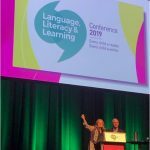 Instead of controversial interventions, parents and teachers should seek interventions consistent with the Learning Difficulties Australia Position Statement on Approaches to Learning to Read. The AUSPELD online parent guide also provides clear, helpful guidance on choosing a program in which you can have confidence. If you’ve wasted money and time on a bogus intervention and are wondering whether you can sue for malpractice, I understand that purveyors of bogus care which delayed effective care have been successfully prosecuted elsewhere, but I don’t have details (yet). Food for thought. 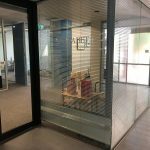 Note that if the provider is a member of a registered health profession, you can complain to the Australian Health Practitioner Regulation Agency. This entry was posted in curricula, literacy problems, research, teaching strategies, theory on October 21, 2016 by alison. I love how you unpack complex material and put it into plain English so more people can understand / access the message/ and make their own mind up. Can you please help parents by listing these types of specialists. Nice to see you again at Groove Train with Heidi Gregory last Saturday after Melb Star Light It Red event. Hi Sarah, it was great to come to the Light It Red dinner, I’m sorry to have piked out on going on the big wheel, I am not great at heights, had been working all day and rode my bike there so was very aware it was quite windy. So I chickened out. Because teacher training is so variable when it comes to early and catch-up literacy, there is a real diversity of skills among primary teachers, who on paper you’d expect would be experts at teaching kids to read. There are some new graduates (from places like Edith Cowan or Macquarie Uni) who do know what all the sounds of the language are and how each is spelt, and it’s possible to have a conversation with them about phonemes and graphemes and teaching sequences and decodable books and so on, but the average teaching graduate (from what I have observed) has pretty much no idea about all this, and is just teaching beginners and strugglers the alphabet, high-frequency words and look-at-the-picture-and-guess using repetitive texts. 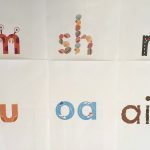 Speech Pathologists all know what the phonemes of the language are but unless they have a special interest in literacy they may not know much about its orthography, or how to teach beginners and strugglers in a systematic and sequential way. Some of the most skilled people I know in the actual tin tacks of teaching difficult-to-teach children and teenagers are integration aides who have had to do it day in, day out, with multiple students. Some parents are also brilliant at this, if they’ve had a child or children with persistent difficulties. Special Ed teachers with a Reading Recovery background are often very anti-phonics as Marie Clay saw sounding out words as a last resort, but then there are other Special Ed teachers who can teach pretty much anyone to read and spell, and can use a variety of programs and resources to meet a range of learners’ needs, or just use the back of an envelope if nothing else is available, because they have a whole system in their heads. Then of course there are people who know things about a part of the skill set that contributes to skilled reading – psychologists who know things about memory, attention, etc especially educational psychs, some audiologists, Occupational Therapists and optometrists (thanks to people like Jerome Rosner) can help with specific things like discrimination, posture and pen grip, convergence etc. Sorry that I don’t think there is one list of professions that are THE experts, it depends on their training and experience and areas of interest. A more useful way for parents to frame this question might be “does this professional meet the IDA’s standards for teachers of reading?”. Note that there is a new webinar by Louisa Moats online about why these standards are needed and how we should use them: https://dyslexiaida.org/idas-free-webinar-series. My dyslexic child – at age 9 – hugely benefited from a computer program ‘prescribed’ by an ophthalmologist in Sydney. He had serious reading problems and after 3 months of training and visiting he became one of the best reader in class. He still doesn’t go anywhere without a book in his pocket! My son had the Alison Lawson treatment and I highly recommend it to everyone, he was at a level 6 reading and 6 months later he has come so far, he is now on level 19 reading, he is far less anxious when it comes to picking up a book, he has learnt stragities to improve his reading. From the first lesson I could see his confidence and ability to shine coming through, I could see it working for him, as we all know every child is different with different capabilities, but in my opinion finding Alison Lawson’s centre was a miracle for myself and most importantly for my son. So let me tell you this was very successful for him. Hi Barbara, there are always people who can attest to a therapy having worked with them or their child, which is great, every “alternative medicine” under the sun is backed up by plenty of anecdotes. If they were backed up by proper scientific research they would be called “medicine”. Given the complexity of life and the subjectivity of humans, it is impossible to say that one child’s improvement following a particular treatment was not due to other factors. The only way we can say with any degree of certainty whether a treatment is effective for a particular difficulty is to test it in a controlled experiment with multiple subjects with the same difficulty. This has not been done for this treatment, and given it’s been around a very long time, it’s worth asking why not. We don’t give children medicine based on having heard an anecdote from another parent about it having worked for their child, we get a proper diagnosis and use a treatment that has been shown to have a statistically positive effect for multiple subjects in clinical trials. I’m very glad to hear that your son has improved, but the plural of anecdote is not evidence. Health professionals should all know this. 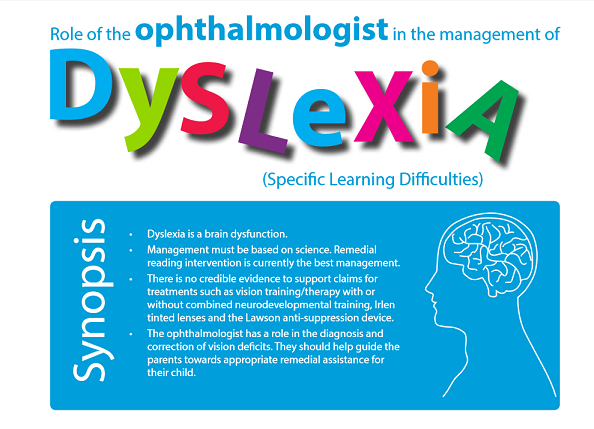 I have to say that whilst I applaud the efforts of Creavin, Lingam, Steer & Williams in showing that opthalmic conditions are not related to dyslexia, there are some problems with their methodology. Firstly, the norming on the Neale has not been done since 1997 (from memory), meaning that it is well out of date and would not give accurate reading ages. 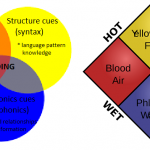 Secondly, the Neale, even if were in date is an inadequate measurement tool because it does not test for the kinds of reading difficulties (phonological) that are at the bottom of the most pervasive conditions affecting children who have reading problems. The YARC would have been a much better tool for those reasons. I’m a little confused. So you say ophthalmologists believe “abnormal eye movements observed in dyslexic children are the result, not the cause, of reading difficulty”. Therefore you and they are saying (in agreeance with Neuro-developmental, or Behavioural optometrists, that children with dyslexia do in fact have (often) anomalous eye movements (tracking, focussing etc.). So……if these children have eye problems (primary or secondary), shouldn’t we then be recommending all such children have assistance in improving these abnormal eye movements?? Surely no one could argue that poor eye movements wouldn’t affect reading ability and confidence? The so called “experts” can argue all they like about which particular problem comes first, though why discourage children from seeking profession Optometric help to improve eye movement. It may not “fix” the dyslexia, though it may help the child to develop more efficient eye movement skills to use whilst reading. It seems most of these objections seem to be based on the incorrect premise that Optometrists “treat” dyslexia. We don’t- we simply (though critically) aim to help children improve their visual skills to help them as they learn to read through the appropriate reading intervention by other professionals. Once children are taught to read by sounding out words, their eye movements for reading typically stop being anomalous. Why treat the symptoms when you can treat the cause? 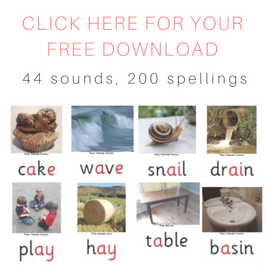 It is possible that a child may develop more efficient saccadic eye movements after practising the concept of pausing to fixate on individual sounds and blends within a word. However Alison that is only a very small aspect of the visual system demands whilst reading. Keeping things simple for the save of brevity, what about a child with a dysfunction in accommodation and/or vergence? Numerous studies throughout the world show the incidence of significance of such inefficient visual skills at between 10-15 % of school aged children- I don’t think any professional group disputes that. These inefficient visual skills cause a child to have to work harder to sustain a clear, single image at near whilst trying to concentrate to read. Surely you’re not suggesting that remedial reading / linguistic therapies, as important as they no doubt are, are in ANY shape of form going to improve a child’s focussing or eye coordination skills? It would be negligent to not address these issues for a child if one is to truly put the child’s interests as their primary focus. They will tire faster and have lowered comprehension. Correctly addressing these visual issues will NOT teach the child how to read, and certainly does not “fix” dyslexia. However correcting these visual dysfunctions in children who are already struggling at school will make their life enormously easier, reduce fatigue whilst reading, and make them thus more “teachable”. There are rogue and foolish practitioners within all professions who work in the learning difficulty area who erroneously claim that they are able to “fix” learning problems. Sometimes they naively believe that to be true; in other cases they are disingenuously using claims for marketing reasons. The latter is the reason there is so much politics in this area as professions seek to position themselves as leaders in the field. However I’m sorry to say that so far no one profession can honestly claim to have the magical solution to solving learning issues. So if we really care about helping children, a multidisciplinary approach is the most thorough and professional way to help. 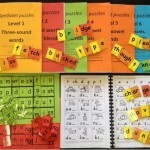 I wish you well working in the critical area of speech / language development. I also hope that you do not selectively read position statements of some professions without (i) recognising the politics sometimes behind such opinions and (ii) understanding the invariably equally valid alternate view. I advised this client (an adult who had come to me asking for tuition for her spelling problem) that there are highly regarded scientists who regard Lumosity as being an ineffective approach, so she should think carefully before spending her hard-earned cash. How best to get rid of these ineffective programs?